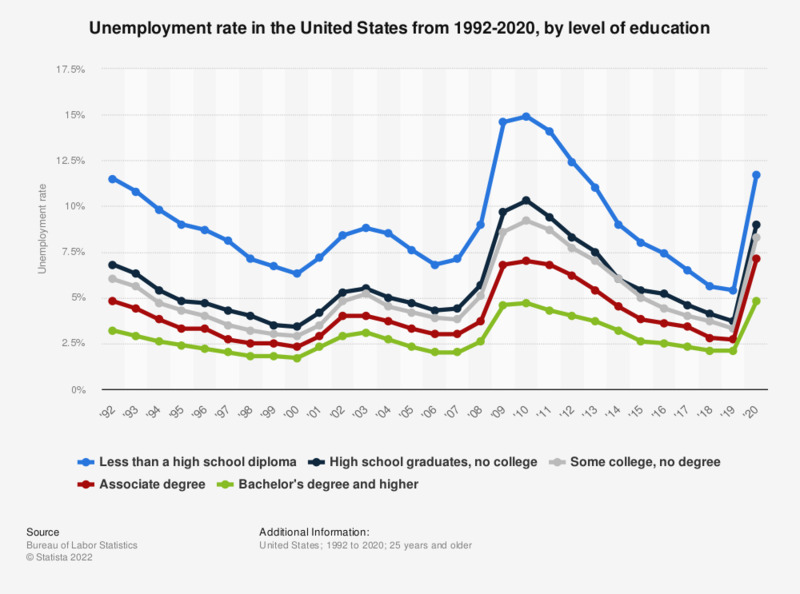 This graph shows the rate of unemployment amongst those aged 25 or older, distinguished by educational attainment levels from 1992 to 2018 in the United States. In 2018, around 5.6 percent of people aged 25 and older who had less than a high school diploma, were unemployed. The monthly unemployment rate in the U.S. can be accessed here and the unemployment rate for each U.S. state can be accessed here. Everything On "Attending university in the U.S.: employment prospects and earning potential" in One Document: Edited and Divided into Handy Chapters. Including Detailed References.